A re-imagining of the story of the birth of Jesus, based on the simple narrative found in Luke chapter two. 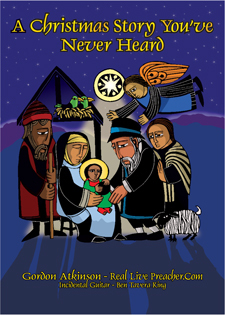 You have not heard this Christmas story before. Illustrated by Steve Erspamer. Cover art by Robert Lovato. SKU: 978-0-9788880-0-8. Categories: Books, Gordon Atkinson. Tag: w.